The United States has exported wondrous cultural innovations to the rest of the world. However, one of these is not its approach to drugs, which is moralistic, illogical and intrinsically violent (Alexander, 1990; Boaz, 1990, Peel, 1989; Trebach, 1987). Among the manifestations of the American way of dealing with drugs is a literature, which ranges from the blatant “fried-egg” propaganda of the popular media to a body of overblown professional writing that appears in medical, psychological, and social science journals. Both the propagandistic component and the professional component have their roots in the simultaneously moralistic and “scientific” temperance literature that began appearing in the United States at the_ beginning of the 19th century (see Benjamin Rush, 1790.1805/1947,1819; Kobler, 1973; Alexander, in preparation). When historians look back on the last two hundred years, I think they will classify the American-inspired attempt to rid the world of alcohol and other psychoactive drugs with earlier witch-hunts and crusades. They put the American drug literature in the same category as massive Roman paeans to the virtues of corrupt emperors and endless medieval scholastic debates on the properties of angels. On the other hand, I think future historians may revere the American common sense philosophers of the same years including Benjamin Franklin, Abraham Lincoln, Mark Twain or Will Rogers. These American giants made illuminating observations on practically everything, including drugs and addiction. Their unique genius lay in tempering intellectual brilliance with modesty and irresistible good humor. There may be far more real knowledge about drugs in American common sense philosophy than in any other source, including the professional literature that drug researchers, including myself, are labouring to produce. I will use Mark Twain (1835-1910) as my example for a commonsense philosophy today? Since Mark Twain’s research methodology may seem a bit out of place in this experimental psychology presentation, I will take a little time to work up to his strongest conclusions. I will start with a speech that he gave in 1905. This is printed in an excellent collection (l. Jeider, 1963) that presents Mark Twain as a serious essayist, although it has to concede that he was never able to suppress his sense of humor entirely. On the occasion of his 70th birthday in 1905, Mark Twain, having survived a fair portion of the Nineteenth Century, observed that it was common for people of his awesome longevity to preach about their personal habits, and that it was not uncommon for their listeners to emulate them. He thought the first part of this was fine and, indeed, preceded to hold forth on the topic of his own habits, but he urged against any emulation. He put it this way: I have achieved my seventy years in the usual way: by sticking strictly to a scheme of life which would kill anybody else, It sounds like an exaggeration, but that is really the common rule for attaining old age. When we examine the programme of any of these garrulous old people we always find that the habits which have preserved them Footnote 1. My perspective on American issues is doubtlessly colored by the fact that I am a Canadian who grew up in the United States. As a young adult, I could not reconcile myself to the actions of the American Leviathan in Vietnam. I left the United States permanently in 1970 and became a Canadian citizen in 1975. However, I haven never forgotten the special warmth and color of American culture. In view of all of this, I am perhaps unusually attuned both to harmful American policies and to redeeming American values. Footnote 2. A tip of the hat to Stanton Peele (1989, p. 39) for making me think about Mark Twain in the first place. would have decayed us … I will offer here as a sound maxim … that we can’t reach old age by another man’s road (Mark Twain 1905/1963, p. 471). He then proceeded to describe his various habits, including very moderate consumption of alcohol, not eating lunch, and others. Of most importance to us today was his smoking. He smoked enough to induce apoplexy in today’s anti-smoking activists. In his words: I have made it a rule never to smoke more than one cigar at a time. I have no other restriction as regards smoking. I do not know just when I began to smoke, I only know that it was in my father’s lifetime and that I was discreet. He passed from this life early in 1847, when I was a shade past eleven; ever since then I have smoked publicly. As an example to others, and not that I care for moderation myself, it has always been my practice never to smoke when asleep and never to refrain when awake. It is a good practice. I mean, for me, but some of you know quite well that it wouldn’t answer for everybody that’s trying to get to be seventy … Today it is all of sixty years that I began to smoke the limit (pp.471-472). Throughout this talk, Mark Twain reiterated the point that nobody should emulate either his moderate consumption of alcohol, his immoderate consumption of tobacco, nor his total abstinence in the matter of lunch if it was bad for their own health, and that they themselves were the best judge of that. This ideas requires a few moments of digestion in the current climate surrounding tobacco and other drugs, and so I will return to Mark Twain after I have done a bit of hatchet work on the American professional drug literature. I feel at liberty to speak frankly about the professional literature on drugs, since I am a longtime contributor to and reader of it. I also feel at liberty to characterize it as American, because it is American professional journals that set the critical standards and produce most of the bulk. American Psychological Association journals playa role although they obviously have other purposes as well. I am not sure how this body of writing first came to be called a “literature” or why it is sometimes accepted as “scientific,” since it has little in common with either literature or science as they are known in other contexts. It lacks any trace of literary appeal; it has no core scientific paradigm; and it is unfailingly soporific, even from those of us who helped write it. When I first faced these facts, I naturally accepted the articles that I had written myself. Then I met other people who shared my dismal view of the larger endeavor, with the exception of their contributions to it, but with the inclusion of my own. This created a certain dissonance in my analysis, which I hope I can now resolve. We can only understand this drug literature as a whole, because any time you hold up any part of it as well-grounded and internally consistent, several others will hold up some other part and say you’re ignoring the evidence. When they finish corning at you from all directions, this pack of sharks will turn on each other, and you may join ir1″the destruction of someone else’s work if you wish. Therefore, you can run rats, administer questionnaires, analyze variance, interpret factors, and/or concoct snappy slogans for a lifetime, but you won’t get anywhere. I’ve laboured at this myself for more than two decades, but when I survey the “literature” beyond my own decades, I see the same questions and answers endlessly argued, although the figures of speech change over the years. I also find the same uncivil tone throughout; other people’s ideas are either treated with contempt or, more likely, ignored completely. Some people want to represent this as science in progress, but it does not have the theoretical core of “normal science” as it has been described in physics (Kuhn, 1970) or biology (Mayr, 1982), nor is it built around a systematic and civil vulnerability to falsification that is often taken as the defining characteristic of science (Popper, 1959). What is this temperance mentality and what gives it power over otherwise independent thinkers and researchers? I will try to answer these questions by making reference to a comparison of the nineteenth century temperance literature and the twentieth century anti-drug literature that I have just completed, and to the results of administering a “temperance questionnaire” to university students in several countries. From Benjamin Rush’s early writings just before the beginning of the Nineteenth Century until the prohibition era in the 1920s, there was a remarkable uniformity in the temperance view of alcohol. Of course there were people who opposed this view of alcohol-the so-called “wets” -but there were more “drys” and the temperance mentality Dr. Benjamin Rush was the dominant vision for many decades. The two most fundamental temperance premises were simple and coherent: 1) alcohol use and alcohol addiction were primary causes of society’s problems including the problems of sexual promiscuity, violence, family dissolution, labour and racial unrest, insanity, illness, child abuse, atheism, addiction, and, sometimes, the downfall of civilization itself and, 2) universal abstinence would greatly reduce these problems and was achievable through certain temperance remedies. These temperance claims were stated in language that was harshly moralistic and accusatory. To many abstemious Americans and Canadians, the temperance claims about alcohol remain almost self evidently true. Nonetheless, they are a cultural manifestation, rather than a statement of objective fact. Outside North America there are many nations that consume more alcohol per capita and suffer from similar social problems, but nonetheless have never sought to blame these problems on alcohol or sought to ameliorate them by promoting abstinence (Levine, 1992). Late in the 19th century, the temperance ideas were extended, almost unchanged, to other drugs. This has continued to the present. If you analyze, for example, Mark Gold’s famous book, BOO-Cocaine (1984), or the pronouncements of the recent The temperance mentality, with respect to both· alcohol/and illicit drugs, is being taken very seriously by a significant proportion of the population of North America. American “Drug Czars” (e.g., Martinez, 1991), or dozens of other mainstream, hard-line anti-drug works, you will find them full of ideas about heroin, marijuana, or cocaine that are virtually identical to temperance ideas about alcohol. Moreover, you will be hard-pressed to find stronger evidence for these claims about drugs than that proffered for the original temperance claims about alcohol. Further, if you consider the pronouncements of the more liberal supporters of current American drug policy, you will find a softened form of the same temperance message. Their message is similar to that of the liberal wing of the historical temperance movement which softened the tone of the extremists and backed away from the more extravagant claims and more violent forms 6f repression, but nonetheless stuck tight to the fundamental temperance premises and national campaigns to prevent all use of certain drugs. It takes a bit of demonstration to she\-\’ this, because the liberal proponents of American drug policy generally think of themselves radically shifting the emphasis, for example, from “supply reduction” to “demand reduction” and from a “justice model” to a “public health model” and so forth. A little examination of these changes, however, shows temperance thinking pretty much intact with them (Alexander, in preparation). The temperance mentality, with respect to both alcohol and illicit drugs, is taken very seriously by a significant portion of the population of North America. I know this from extensive, often heated, discussions on drug issues that I have had all over Canada and the United States. Today I will try to illustrate this quantitatively by showing you some responses of university students to a Temperance Mentality Questionnaire (the TMQ) that my colleagues and I have administered in the United States, English Canada, and the· Netherlands, and which we are now preparing to administer in French Canada, Ireland, Bulgaria and Italy (Alexander, et aI., 1992; Burt et aI., in preparation). The TMQ was designed to measure adherence to the ideas espoused by the temperance movement about alcohol; and adherence to those same ideas when applied to currently illicit drugs. The test includes 50 items that we derived from Nineteenth and early Twentieth Century North American temperance literature and from historical accounts of that same ~ra. Each item on the questionnaire can be documented with quotes from these historical sources. The language of the TMQ was modernized somewhat, primarily by replacing archaic words and phrases ‘like “ardent spirits” and “drunkard” with more modern equivalents like “liquor” or “alcoholic” and by changing some of the references from alcohol to currently il~icit drugs. Half of the fifty items on the TMQ were statements The widespread acceptance of the temperance mentality in the United states, relative to other countries; is illustrated by the student data in Table 1. “Abstinence from alcohol in a community is the key to social progress.” (Question No. 21.) The other half of the items were re-worded so that they referred to a currently illicit drug or drugs in general. A typical item is “Selling marijuana would be immoral, even if it were legal” (Question No. 14.) About half of the items of each type were stated in a negative form, so that a person couldn’t receive a high score on the temperance mentality just because they like to say “yes” to questionnaire items. This questionnaire has now been given to over 1,000 university students. Multivariate statistics show clearly that the students do not respond to the temperance items independently, but as if they formed a coherent whole. That is, students either agree with most of the items, disagree with most of them or respond with a consistent neutrality (Burke et aI., in preparation). have the demonic qualities that the temperance mentality attributes to them, then temperance policy will prevail. Only the staunchest libertarians would advocate anything other than an abstinence policy for a substance that, even in small doses taken by normal people, causes incurable addiction, deforms unborn babies, induces violence, causes fatal heart attacks, and is threatening to bring about the fall of western civilization. If the claims of the temperance mentality are true, it would make no more sense to tolerate the sale of alcohol or drugs than to tolerate the sale of AIDS virus. Research seems to me no less influenceable than public policy. Governments, university boards, and research foundations established by large corporations powerfully influence research of all sorts through grant money, ethics committees, hiring policies in universities, awards, subsidies for professional publications, and so forth (Danziger, 1990). Government and many big businesses are, at this juncture of history, foursquare behind major portions of the temperance mentality as applied to illicit drugs (Alexander, in preparation), Researchers, of course, pride themselves on being irascible, independent-minded characters, but This does not make them exempt from the laws of reinforcement or natural selection, or from bureaucratic control. An illustration of the controlling influence of the temperance mentality on research comes from a study of articles submitted to a professional society on the topic of cocaine in utero. This study was conducted by researchers here in Toronto (Koren et aI., 1989). It showed clearly that articles on the effects of in utero cocaine administration were likely to be accepted if they confirmed the temperance presupposition that drugs in any quantity are harmful to unborn children and that they were unlikely to be accepted if they did not. In many cases, articles with inferior methodology by normal research standards were selected over those with better methodology, but the wrong conclusions. I can personally report many instances of the temperance mentality influencing drug research, and many other professionals can as well (e.g., Humphreys and Rappaport, 1993; Searles, 1988). Obviously, excessive temperance zealotry does not constitute proof that all temperance claims are false or that intemperance is a virtue. Again, Mark Twain is a good source o(a balanced perspective. His 70th birthday speech, cited previously, made it clear that he rejected some of the temperance claims totally. He was himself a moderate user of alcohol, and he allowed that other people might find heavier use than his to be a healthy practice in their lives. He maintained that his totally immoderate smoking had helped him to attain old age, although he acknowledged that it might have killed somebody else. Please note how far he was from temperance doctrine at this point. 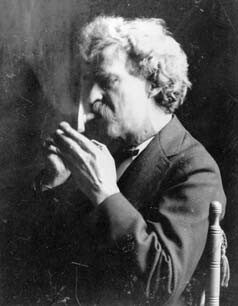 Within the temperance mentality, it might be admitted that Mark Twain lived beyond age 70 in spite of very heavy smoking. But Mark Twain said that he survived to old age because of his smoking. This proposition runs far beyond the simplistic temperance assumption that all drugs can be divided into the good and the bad. It suggests that people can and do make complex.· informed decisions about using and not using drugs, and that everybody should not make the same decisions. It also suggests that the effect of tobacco on longevity might be strongly affected by some of its psychological effects which are more idiosyncratic than the physical harm that it does to the cardiovascular system. 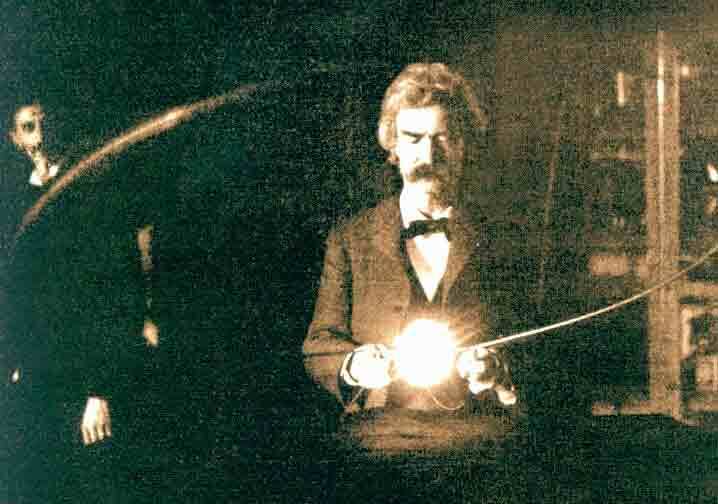 In other words, in his modest way, Mark Twain was … in spite of its puffed-up jargon, the temperance mentality was, and is, pushing science toward the justification (or sometimes repudiation) of its simplistic slogans providing the impetus for a complex scientific analysis, whereas, in spite of its puffed-up jargon, the temperance mentality was, and is, pushing science toward the justification (or sometimes repudiation) of its simplistic slogans. But Mark Twain did not have a totally laissez faire attitude towards drugs. This emerges clearly in an article entitled “The Temperance Crusade and Women’s Rights” (Mark Twain, 1873/1963). In this article, Mark Twain comments on a new cultural phenomenon that was sweeping the United States in 1873. Tightly organized bands of women were gathering on the sidewalks outside of saloons and praying conspicuously, around the-clock, until the saloon was forced out of business. Mark Twain noted that this activity was illegal and a nuisance. He also opined that the women were a bit credulous in attributing their success in closing bars to divine intervention. If. God was shutting down the bars, he ventured, the ladies could just as well have done their praying at home or at church. However Twain thought that, under the existing circumstances, this temperance activity was justified. He pointed out that the women involved were generally admirable, well-respected people. He also noted that many of them had husbands or sons who were squandering their time and money in the saloons to no good purpose. Finally, he noted that the women wouldn’t have to rely on divine intervention or obstructing traffic at all if they were allowed to vote for the kind of laws that would impose sensible limitations on the sale of booze. He ends his article, however, with some harsh words for the male ministers who were joining the women’s temperance efforts and building a grand metaphysical and institutional structure upon them. He suggested that such men would do better to stay in church and preach at people to obey the law. Thus, although Mark Twain was not a temperance zealot, he was not born-again libertarian either. He apparently believed that the judgment about using drugs would be achieved by a kind of dynamic tension between people’s perceptions of their own needs and the sentiments of their families and their close society. He appeared to draw a sharp distinction between the normal human impulse to press for temperate use of drugs among one’s close relatives and the “temperance” doctrine that meant to impose abstinence on the world. It se~IIlst01l1ethatMark Twain was miles ahead of both the’ propagandistic and professional components of today’s drug literature. But please don’t think that I have Come here to tell you that the rest of us drug researchers should give up. Rather, I think that Mark Twain’s keen, humane observations offer us a renewed inspiration for pulling ourselves away from the vortex of temperance thinking. Should pharmacologists not be investigating the question of how the same drugs that kill some people, might keep others alive, if this is truly so? Should sociologists not be exploring the possibility that local forms of social control might be helpful in dealing with drug problems even though national and international drug “wars” have clearly failed? Finally, I hope that I do not sound anti-American. I have reached a stage in my life at which I am weary of condemning the evils of the great and terrible country of my birth. I would prefer to celebrate its unique genius. Part of its genius lies in its common sense philosophers, and it might be in them that we find the wellspring that will freshen our field of enquiry now, when it is so intellectually parched. On a larger scale, perhaps Americans do not need to turn to the English or the Dutch for enlightened alternatives to their bankrupt drug policies, but to their own rich cultural history. On the largest scale of all, perhaps a Renaissance of American common sense is not beyond contemplation. ‘War on Drugs.’ Toronto: University of Toronto Press. .
Alexander, B.K. Lewis. C., van Wijngaarden, J., .and van ~e Wijngaart, G.F. (1992). Dubious consensus: Support for anti-drug poliCY among Dutch and Canadian university students. Journal of Drug Issues, 22: 03-922. Burt, G. & Nijdam, D. (unpublished ms, 1992). A Survey of temperance claims. Danziger, K. f1990). Constructin.g the Subje~t: Histo.dcal.Origins of Psychologica Research. Cambridge: Cambridge University Press. Humphreys, K. and Rappaport, J. (1993r From. the COm!!! ~~ity menta! health movement to the war on drugs: A study In the delinJIlon of Social problems. American Psychologist, 48, 892·901. York: G.P. Putnam’s Sons. .
null hypothesis. The Lancet. 1440·1442, Dec 16,1989. .
Kuhn, T.S. (1970).The Structure of Scientific Revolutions (2nd ed., enlarged) Chicago, University of Chicago Press. Martinez, B. (1992). United States drug strategy. In Drugs and Society.to the Year 2000: Proceedings of the Xly-World Conference of Therapeulic Communities, P. Vamos and P.J. COrriveau (eds.). Quebec: Portage Program for Drug Dependencies, Inc.
Mark Twain (Samuel L. Clemens) )1873). The Temperance Crusade and Woman’s Rights. In C. Neider (ed. The Complete Essays of Mark Twain, (t963). Garden City, N.Y.: Double aY,_664-668. Mark Twain (Samuel L. Clemens) (1910). Seventieth Birthday. In C. Neider (ed.) The Complete Essays of Mark Twain, (1963). GardenCity, N.Y: Doubleday, 469-474. Mayr, E. (1982). The growth of biologicalthoug~t: Diyersity, evolution, and inheritance, Camllridge, Mass. : Harvard UOIverslty Press. .
Peele, S. (1989). Diseasing of America: Addiction Treatment out of Control. Lexington, Mass. : Lexington Books. Popper, K.R., Sir (1959). Logic of Scientific Discovery. New York: Basic Book.s. Rush, B. (1819). An Inquiry into the effects of Spirituous Liquors on the Human Body: to Which IS Added a Moral and Physical Thermometer. Boston: Thomas and Andrews. . Rush B. (1805/1947). The effects of ardent spirits upon man. In The Selected Writings of Benjamin Rush, D.D. Runes (ed.). New York: The Philosophical Library. Rush, B (1819). An Inquiry in the Effects of Ardent Spirits Upon !he Human body and Mind, with an Account of the Means of. Preve~tlng and of the Remedies for Curing Them. Exeter, New Hampshire: JOSiah Richardson, Preacher of tfie Gospel. Searles, J.S. (1988). The role of genetics in the pathogenesis of alcoholism. Journal of Abnormal Psychology, 97, 153·167. Trebach, A.S. (19~7). The Gre?t Drug War: And R?dical Proposals That Could Make America Safe Again. New York: MacMillan.